I can't believe it (and it kind of freaks me out to say) but training is halfway over for the Seawheeze Half Marathon! Miles have been run, rooms have been booked, planes have been scheduled, and now this race is feeling very real. Today, I'm going to be sharing a check-in so that you (and I!) can see how I'm doing so far. I'm happy with where my overall numbers are, but I would like my long run to be longer! I was hoping to hit 10 miles by this point, but that will be my goal for this weekend. I usually only listen to music during speed workouts, or the second half of long runs! I only use Spotify, and you can find my playlist here! Most of the time I listen to podcasts on 1.5 speed, and I've been listening to so many lately. It seems like most of the blogs that I follow are also coming out with podcasts! 5 - Weeks to go! Sadly none of them were in Belize, like the picture above! I joined a new gym and found one class that I really like! Somehow I ran the same exact time in both of the 5ks. The 5 miler was a bit tougher, but I made it through three races in a row! These are both older shoes but are holding up really well. 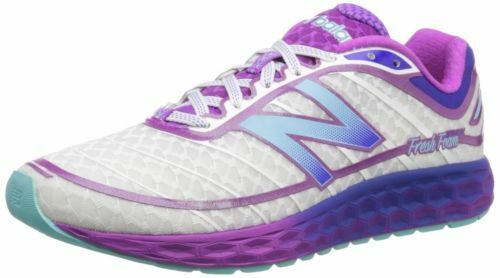 I wear my New Balances for shorter runs and speed workouts, and my Brooks for anything over 5 miles. It's already feeling better, but this weekend was agony! I started my second round of Whole30 when training started, and I maintained it really well (except for the occasional glass of wine!). During the Fourth of July weekend, I went away and didn't restrict anything that I ate, and could definitely feel the effects. I discovered (thanks to reintroduction) that dairy and gluten bother me the most, so I've cut them out completely. About a week ago, I also decided to switch to a vegan diet. This is a lot easier for me to maintain than staying perfectly Whole30-compliant, and my body responds fine to whole grains and legumes. So far it's going really well, and I'm hoping to share some tips and recipes soon! Spand-Ice Recovery Wrap - I get some soreness in my lower back and hips from running (and sitting at a desk all day), so this wrap is perfect. I love how I can just strap it on and go about my day! Most of the time I wear it with the ice pack, but it can also be warmed up as well. Dr. Teal's Epsom Salts - I never used to be a bath girl, but soaking in a warm bath at the end of a hard week of workouts is amazing! These salts help to ease muscle soreness, and I love the scents. I've only tried the lavender kind, but I'm getting more! Trigger Point Foam Roller - Foam rollers are runners' best and worst friend. They help you recover so well, but they hurt so bad! I try to foam roll every day, and luckily my gym has tons of rollers to use. I keep telling myself it's 5 minutes of pain to prevent injury! Tart Cherry Juice - My mom got me hooked on tart cherry juice a few years ago, and now I swear by it. She prefers the concentrated form and mixing it with water, while I prefer it ready to drink (I find it at Trader Joes). This is great for recovery and helps ease muscle soreness! I'm pretty happy with the first half of my training! I have a good foundation and fitness level, and I've been cross training consistently. The areas that I need to improve are my long runs, and more race pace workouts. I also want to stay injury-free for the final 5 weeks and make it to the starting line healthy! Now I need help....What should I do while I'm in Vancouver?! Who else is training for a race? How's it going so far? Have you ever run an international race? Granville Island, Stanley Park (run the Seawall), Robson Street for shopping, eat ketchup chips, AND DRINK OUR BEER. I'll join you. I didn't realize your half marathon was in Vancouver! I visited twice and loved it. The run through Stanely Park is going to be lovely! I'm jealous. Granville Island is also a must, the market is fun to peruse through. Ohhh yes that sounds perfect! I also can't believe you're halfway through! Great job so far! What are the chances you'd run the exact same time in two 5ks?! Awesome that you were able to target and remove the food groups that weren't working for you and are feeling great now! I couldn't believe it when I saw the times! They were both such different races too and my mile splits were completely off. Crazy!